Cats sleep anywhere from 12 to 16 hours every day. They’ve become pretty adept at sleeping anywhere and everywhere, from the tightest nooks and crannies to the zaniest places that leave us humans scratching our heads trying to figure out how they managed to fall asleep like that. There’s practically nowhere a cat can’t fall asleep. Sure, a chair or a cat bed may seem like a more logical place to sleep, but some cats take it as a personal challenge to fall asleep anywhere and everywhere. 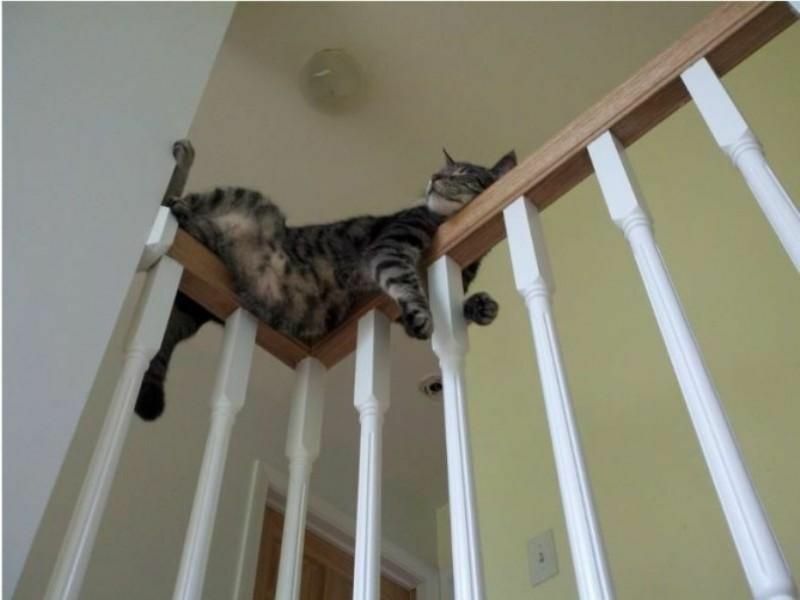 Cats have perfected both sleeping and balance. There comes a time when the two come together and prove that cats can absolutely sleep anywhere they put their mind to. Curling up on the end of the staircase railing may not seem comfortable, but it’s all about whether or not they can, not whether or not they should!